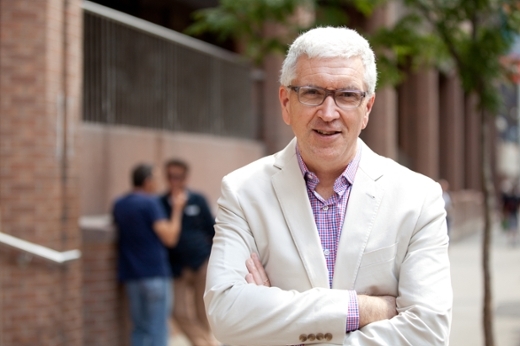 Global health ethics scholar James Lavery, PhD, has published a commentary in Science magazine urging the establishment of an evidence base for community and stakeholder engagement (CSE) in science programs. Lavery is the Conrad N. Hilton Chair in Global Health Ethics at Emory University and the Hilton Professor of Global Health Ethics at the Emory Rollins School of Public Health. While acknowledgement of the importance of CSE is growing within the scientific community, there is a lack of empirical evidence to guide decisions about when it is required in science programs, what forms it should take, and what outcomes it produces. Through his commentary, Lavery outlines the key challenges for establishing an evidence base for CSE, argues for its importance and provides concrete suggestions for how funders can move this agenda forward. A supplementary table accompanying the paper offers an empirically grounded framework that identifies some of the major gaps in evidence about community and stakeholder engagement. The ideas outlined in the paper’s supplementary table closely follow the structure of an online course that will launch this fall on the forthcoming Human Engagement Learning Platform (HELP) for Global Health at Emory University—established in partnership with the Bill & Melinda Gates Foundation—which will support funders and implementation partners of global health programs to improve CSE policy and practices. Funding for this project was made possible by a grant from the Bill & Melinda Gates Foundation (Grant ID: OPP1183715).